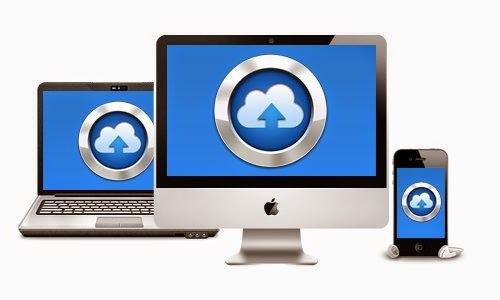 Online backup is gaining in popularity every year because it offers so many benefits over old-fashioned backups to CD or external hard drives. But selecting the best online backup solution for your needs isn’t an easy task. If you’re considering protecting your computer with a cloud storage solution here are five important tips that most consumers forget all about. What types of files do you plan to back up to your online storage account? If it’s just Microsoft Office documents and photos of your cat then virtually any cloud storage service will suit you. However if you’re planning to back up larger files like image-heavy ebooks or videos from your last vacation you need to be careful. Some backup providers won’t allow you to upload certain files to your storage account – and those that do may limit the size of files that get automatically backed up. Therefore if you’re going to be backing up videos, consider just how large the files are that you’ll be storing and check that the provider you’re considering can deal with files of these sizes. Most cloud storage companies are based in the US so if you are too you’ve got nothing much to worry about. However if you’re based outside the USA it’s important to realize that the further your data has to travel, the longer your backups are going to take. If, for example, you’re based in the UK you might want to consider an online backup company like Livedrive or Mozy that has servers in the UK. Doing so will make backing up your computer a far faster and as a result enjoyable experience. Pretty much all storage providers will back up standard documents but one common element that gets forgotten is backing up of emails. Sure, if you use an online email service like Gmail or Hotmail this is unlikely to be a problem, but if you store emails on your home computer you should be aware that your emails are at risk. In these cases consider opting for a provider that guarantees to back up not just your standard files but also your emails too. Have you ever considered the security of the files that you upload to your cloud storage account? If so, one factor you might not have considered is that there are *two* forms of security in use – one for encrypting your data as it’s being sent over the Internet to your account, and a second for data held in your account. Surprisingly, they don’t always use the same levels of security. For most people this won’t be a problem – virtually all storage companies use bank-grade encryption that will keep your files safe from prying eyes. However, if you’re particularly security-conscious or are backing up sensitive files like bank statements you might want to check the security levels used by any backup company you’re considering. When I signed up for my first cloud storage account I didn’t give a second thought to their mobile apps. Sure, I downloaded their iPhone app for fun, but I didn’t really expect to use it very much. The honest truth is though that soon enough I was finding one situation after another where it was handy to be able to access my computer files via my phone. Whether that’s calling up an important document I needed at work or showing my friends photos of my pets, mobile apps can be surprisingly handy. They’ll also help you back up your phone too and move files between your computer and phone with ease. So if you’ve got a smart phone, it makes sense to check the online backup provider you’re considering offers a free app that’s compatible with your current handset. It might just be the most handy app you ever download.